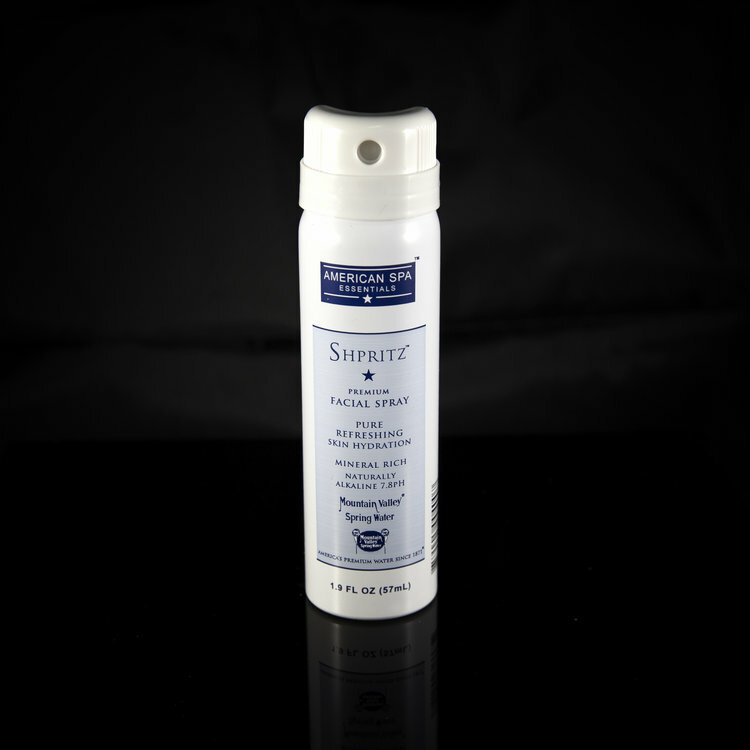 Shpritz Premium Facial Spray is made from pure Mountain Valley Spring Water, America’s Premium Water. Since 1871, is a pristine naturally alkaline 7.8 pH water that contains a unique selection of minerals like Calcium, Manganese, Magnesium, Potassium, Zinc and Copper. With so many products out on the market, you may ask "Why should we choose Shpritz?" The answer is quite simple really. Quality Product for a Better Value. The higher the pH also means that our facial spray water has a higher number of negative-ions that help neutralize free radicals with strong antioxidant properties, causing skin to appear younger and to remove fine wrinkles. It also acts as a detoxifying agent decreasing the amount of skin bacteria present benefiting the appearance and health of the skin.